Here at Solar Action Alliance, our goal is and has always been this: to help the average solar consumer. That goal is all-encompassing. It could mean providing factual and financial information about going solar. It could mean answering questions about the process. In this case, it means researching and recommending the best residential solar installers. 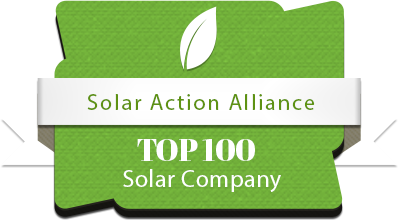 This is our list of the top 100 residential solar contractors for 2017. These are companies that we’ve researched thoroughly and can recommend with a clear conscience. If you’re looking to go solar, we recommend taking a look at this list and finding installers that work in your area. Note: This list is not “ranked”. Because of the large amount of regions, cities and states, as well as the enormous number of installers, we’ve decided to simply name a top 100. Just know that if you choose one of these companies, you’re in good hands.